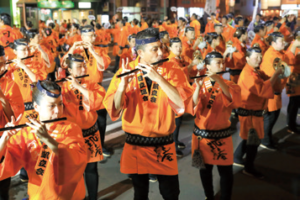 Over 2,500,000 people gather each year to attend this famous festival, which has been designated one of Japan’s Important Intangible Folk Culture Assets. 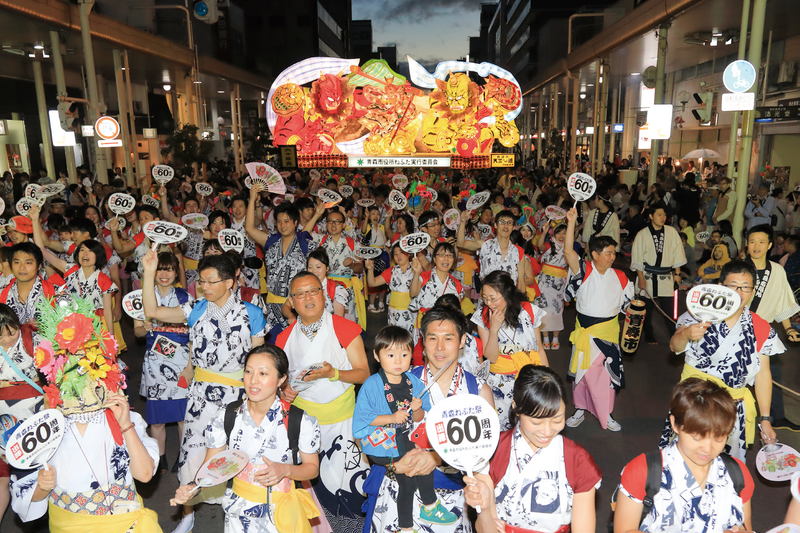 20 giant illuminated lantern floats, measuring 9x7m with a height of 5m and weighing up to 4 tonnes, are paraded through the city. 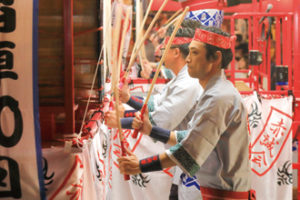 The hayashi musicians, playing taiko drums, flutes, and cymbals, are accompanied by the brightly-clad haneto dancers, chanting “rassera, rassera”. 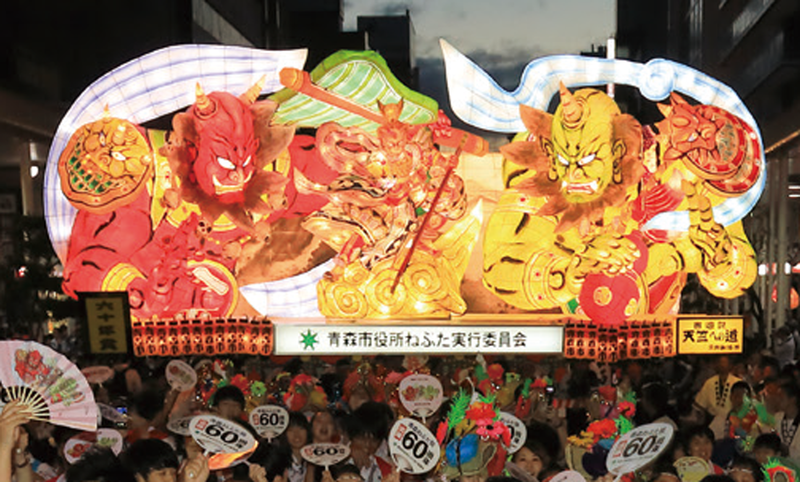 A spectacular sight, and anyone wearing the haneto costume can participate. 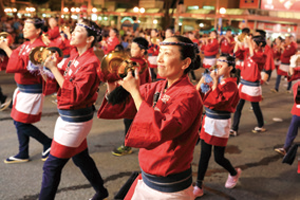 There are also facilities within the city which allow you to experience the festival year-round. More on Bay Area / Area surrounding Aomori Station. 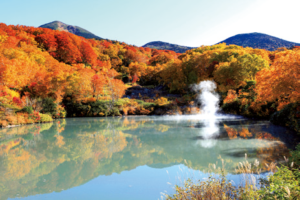 The natural splendour of the famous Hakkoda mountain range changes with the seasons. Hiking is popular in spring and summer. The brightly-coloured autumn foliage is also a must-see. In winter the mountains are covered in powder snow, ideal for skiing. The unusual frost-covered trees are reminiscent of snow-monsters. 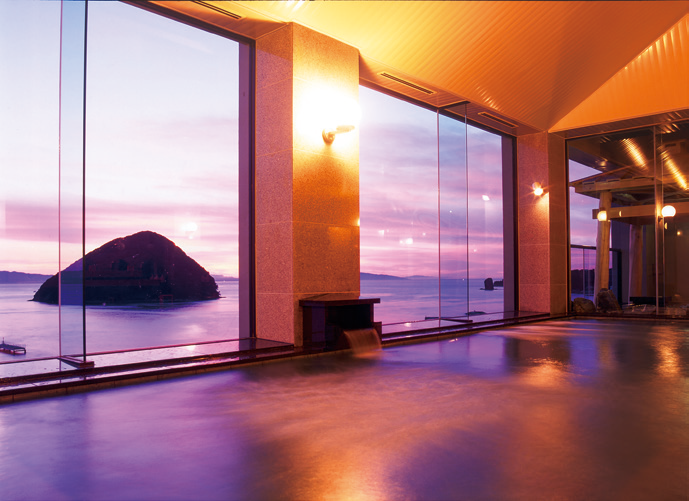 Aomori is home to an abundance of onsen (hot springs), including the 300 ㎡ bath at Sukayu Onsen in the Hakkoda Mountains, and the baths nestled between the mountains and the sea at Asamushi. 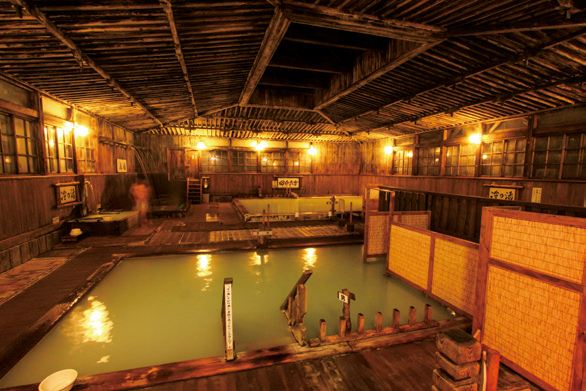 There are also onsen in Aomori City Centre. Each onsen boasts different health benefits, but they are all relaxing and rejuvenating and will leave your skin feeling beautiful! *Please note that some onsen reserve the right to refuse entry to customers with tattoos. 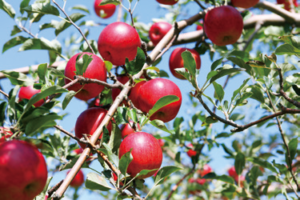 Aomori specializes in large, delicious apples. Apple-based goods such as sweets or hard cider are also popular. 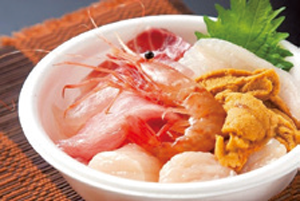 Since Aomori City is beside the sea, fresh fish and other seafood are readily available. Why not try the varieties of ramen found only in Aomori? 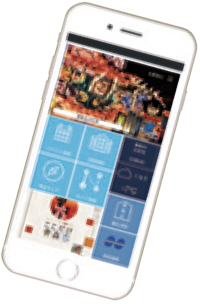 Navigational Function Available! 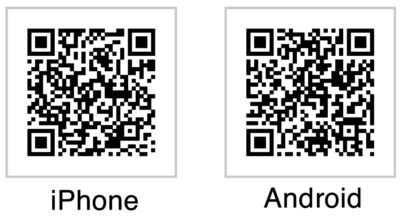 Check your bus routes, including transfers and time required to reach your destination. 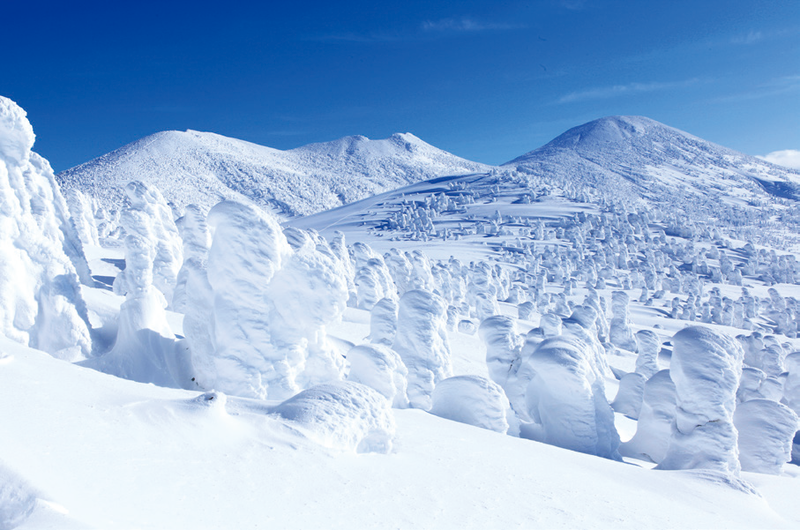 Get recommended routes based on Aomori’s popular sightseeing sites! 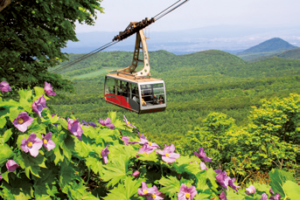 Travel between Aomori Station and the city centre’s main tourist attractions. Look out for Aomori’s sightseeing mascot, Nebutan, on the side of the bus. Aomori Station, Shin-Aomori Station, ASPAM, Sannai-Maruyama Archaeological Site, Tsugaru Kaikyo Ferry Terminal, and more! 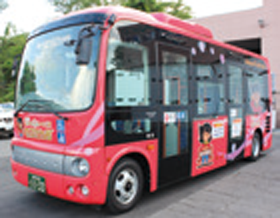 Unlimited travel on Aomori City Buses for one day. Missing Persons, Lost Property,Accidents etc.